Everyone is extremely nice and understanding! I love talking with the staff at the front and the industrial apartments itself are just gorgeous! So far the team management, website access, and customer service has been nothing short of awesome. The virtual tour of my apartment floor plan really has helped me organize what I will need to bring personally to make the move in process a lot easier. In addition, any questions by I have asked the front desk have been quick and polite answers. Overall I’m excited to move in to the factory! Thank you so much for your review Grayson! We are so happy you love living at Warehouse & Factory. We will continue to provide you with excellent customer service. See you soon! I love the layout and design of the units. I live in the studio, and it is the perfect amount of room. The exposed brick wall makes it feel as if I’m in a NYC apartment and I absolutely love it. Thank you so much for your review Caitlyn! We are so happy you love living at Warehouse & Factory. Thank you for the review Zane. We will contact you this morning regarding your roof. The storms we have had has caused a few roof situations that we are working diligently to correct. We do appreciate your review & will make the necessary adjustments to improve your living with us at Warehouse & Factory. The Warehouse and Factory apartments on Northgates are decent, it has perks and problems but at the end of the day it is a great community. And awesome staff! We love to hear that you like living here at Warehouse & Factory. We value your review & look forward to seeing you at our Resident Appreciation Thanksgiving coming next week. Please contact us at 979-268-4780 any time you need assistance. Thank you for the reveiw Zhihao. We are glad you are happy with your home here at Warehouse & Factory. We hope to see you soon at our Resident Appreciation Thanksgiving Party. GOD: Amenities, low distance to the town. BAD: air conditioning is noising, even if it is off, slabs have an excessive vibration at walk on them. We appreciate your review Leonardo. We would like to discuss the air conditioning issues & would like to see if there is anything we can do on our end to correct the noise. 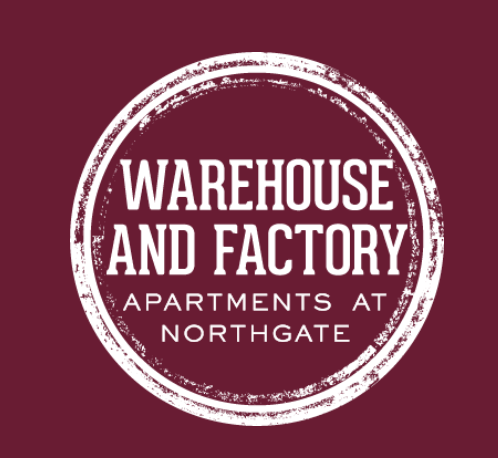 Please contact us at 979-268-4780 to place a work order or you can even put one online on our resident portal http://www.warehouseandfactory.com/residents. Thank you for the review Frank. We have several events planned for November & every month from here on out. We are up for any suggestions that you may have regarding social events. Give us a call at 979-268-4780 or drop by the office. I love living here, it's an insanely convenient place from everything. The maintenance men are relatively fast and any time I need something, the staff is always there. Thank you for the awesome review Kaden. It has been a whirlwind year. Since this new management has taken over however I have seen immediate improvements. One is simply the workers being more professional, but then two, everything being more organized has been very nice. Thank you for the amazing review Lawson. We are so glad you love living here & we will continue with the great customer service! Awesome place. It is very close to campus and nightlife at northgate but far enough to not have to hear any noise from your bedroom. Everyone here is very friendly. Thank you so much Bailey for the great review. We appreciate your feedback. This is a decent apartment to live in, however, having a design that puts the water heater in your open closet is very noisy and annoying when studying or sleeping. We appreciate your review Colton & we will look into this to see if there is area for adjustment on our end to improve your living experience here with us at Warehouse & Factory.